Sixth largest city of India by population, Hyderabad nevertheless is still not very touristy and we must insist a little so that it reveals its beautiful face. A face with oriental features, reflecting its past as “city of pearls”, when it was a hub of the Indo-Persian culture under the reigns of the Golkonda and Nizams Muslim rulers. Hyderabad was founded by Muhammad Quli Qutb Shah in 1591 near Golkonda which was the capital of the Sultanate Bahmani, the first independent Muslim kingdom of southern India. 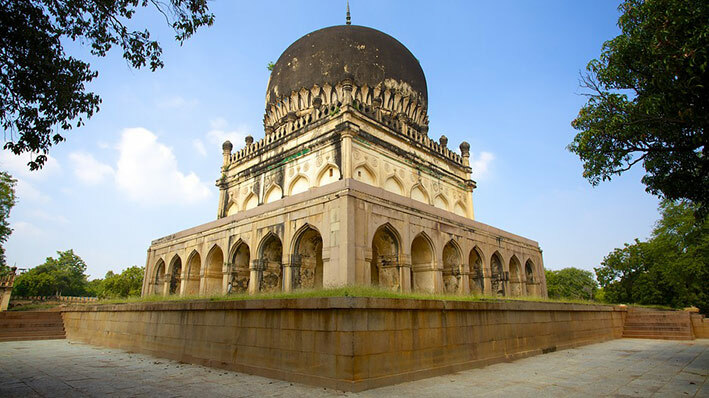 Seven rulers of the Qutb Shahi dynasty succeeded one another in Hyderabad for nearly 171 years. They made the city a cultural and economic center by developing the Indo-Persian literature and the diamonds and pearls trade. Hyderabad is often referred to as the ‘city of pearls’, but it can be as well as referred to as the ‘city of diamonds’ as there was a time when India possessed the only known diamond mines in the world. 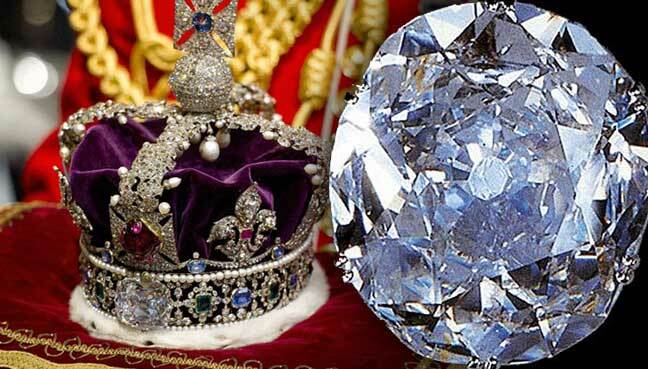 The legendary Golkonda mines, 11 km from Hyderabad, are home to one of the biggest diamonds in the world, including the Koh-i-Noor (British crown), the Darya-i-Noor (the biggest pink diamond in the world), the Hope diamond, Pitt, and the 187-carat Jacob diamond. The kingdom of Golkonda extinguished in 1687 when the great Mughal ruler Aurangzeb seized the city. 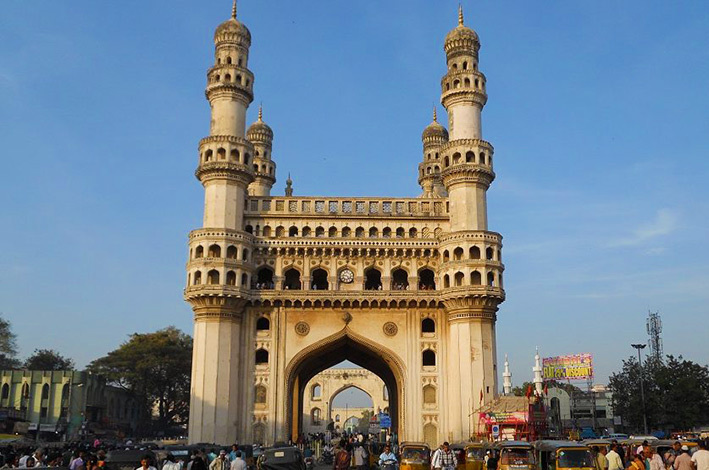 From then on, Hyderabad was ruled by governors, appointed by the Mughal administration of Delhi. In 1724, taking advantage of the weakening of the Mughal empire, Governor Nizam-ul-Mulk Feroze Jung Asif Jah proclaimed the independence of Hyderabad. 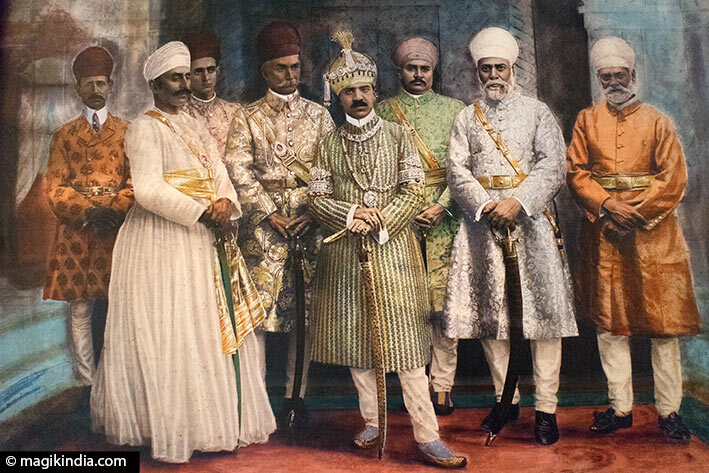 It marked the beginning of the Nizam dynasty who will rule in Hyderabad for 220 years, until 1948 when Hyderabad becomes part of the Indian Union. On 1 November 1956, the state of Andhra merged with the Telangana, a region of Telugu language of the state of Hyderabad and took the name Andhra Pradesh. In 2014, following several movements to revoke the merger of Telangana and Andhra Pradesh, the state of Telangana is created, so far constituting the northwestern part of Andhra Pradesh. Hyderabad, on the territory of Telangana becomes the common capital of the two states and this until 2024, the necessary time for Andhra Pradesh to define a new capital. 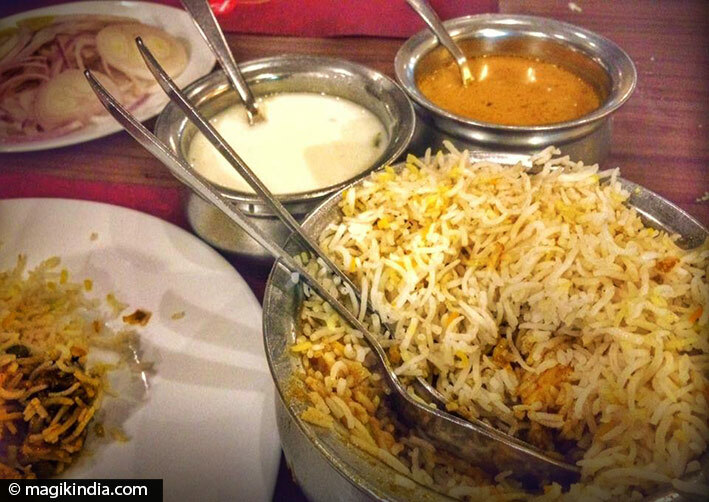 When in Hyderabad, do not miss to taste the speciality of the city: biryani rice. Biryani is a rice dish prepared with vegetables and/or meat and spices (cardamom, cinnamon, coriander, ginger ..) accompanied by sambar and yogurt. There are many variants of biryani. All kinds of vegetables and pulses can be added as well as dried fruits. It is said that in the days of the Nizam sovereigns, biryani rice declined under 50 different recipes. The Charminar is the icon of Hyderabad as the Taj Mahal is for Agra or the Golden Temple for Amritsar. The monument was built in 1591 by Mohammed Quli Qutb Shah, the fifth leader of the Qutb Shahi dynasty, after transferring his capital from Golkonda to Hyderabad. 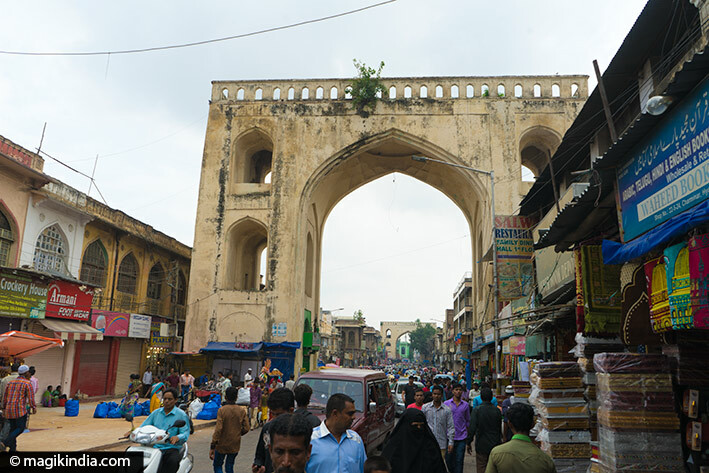 The Charminar was built at the intersection of the historic trade route that connects the markets of Golkonda to the port city of Machilipatnam. 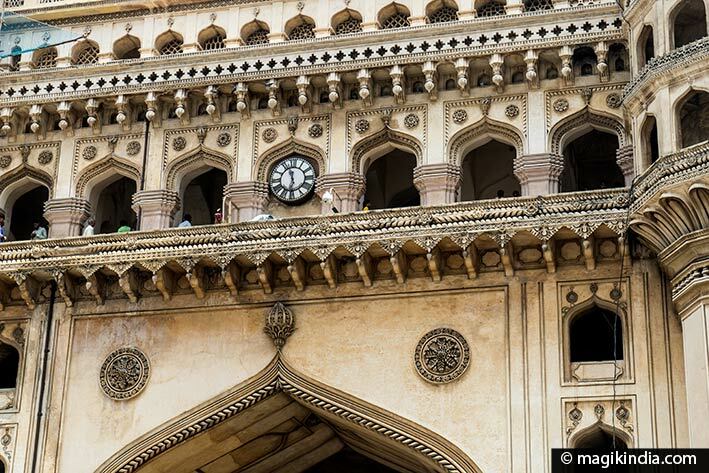 Originally, the town was divided around the Charminar in four quadrants. The structure is of Indo-Islamic architecture, integrating Persian architectural elements. It has a mosque and 45 prayer rooms. Two hundred meters south-west of Charminar, one sees the Mecca Masjid (the mosque of Mecca), called this way because the bricks were brought back from Mecca to build the central arch. The Qutb Shahis rulers never finished building the mosque, it was completed by the Mughal emperor Aurangzeb in 1694. 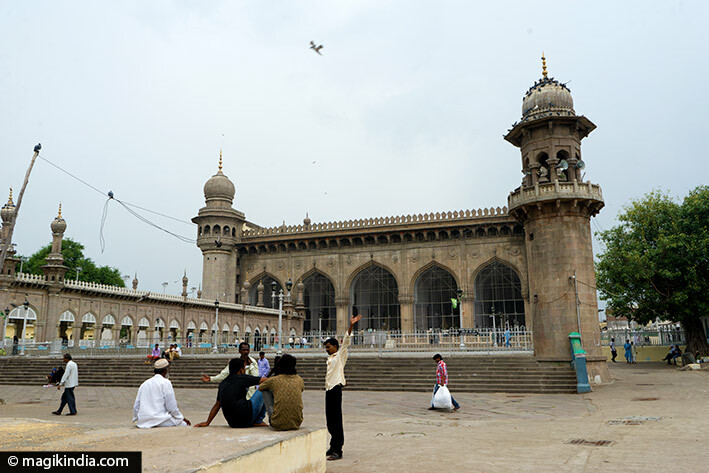 Laad Baazar is the oldest market of the city nestled in one of the arteries that lead to the Charminar. He has been active since the days of the Qutub Shahis and Nizams. This bubbling and colorful market is famous for its pearls, semi-precious stones and traditional glass and stone bangles. ‘Laad’ indeed means ‘resin’ in reference to the resin used to insert the artificial stones and diamonds on the bracelets. 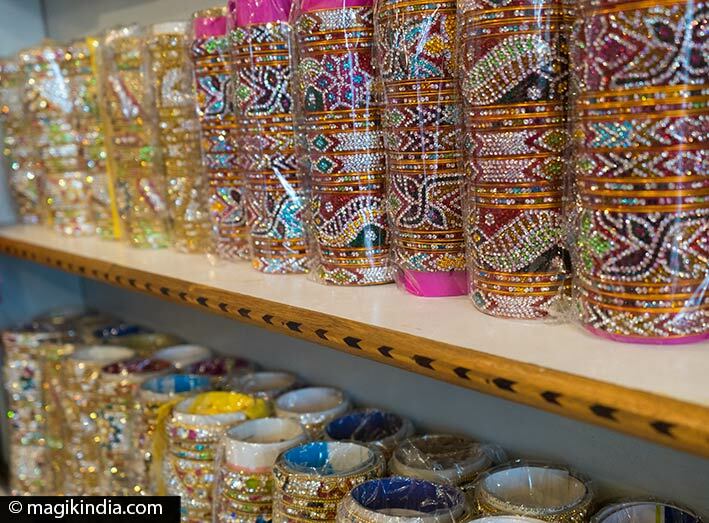 If you have to buy bangles, the laad market is the perfect place. Located in the old city of Hyderabad near the Charminar, the Chowmahalla Palace is surely the most beautiful heritage building in Hyderabad. It consists of 4 palaces (Afzal Mahal, Mahtab Mahal, Tahniyat Mahal and Aftab Mahal) and was the seat of the Asaf Jahi dynasty and the official residence of the Nizams of Hyderabad when they ruled the city. The palace remains the property of Barkat Ali Khan Mukarram Jah, heir to the Nizams. Salabat Jung initiated its construction in 1750 and was completed during the reigns of Afzal ad-Dawlah and Asaf Jah V between 1857 and 1869. Chowmahalla is unique for its style and elegance; Its architecture blends harmoniously different architectural influences. This is one of the first examples of European neo-classical architecture in Hyderabad. 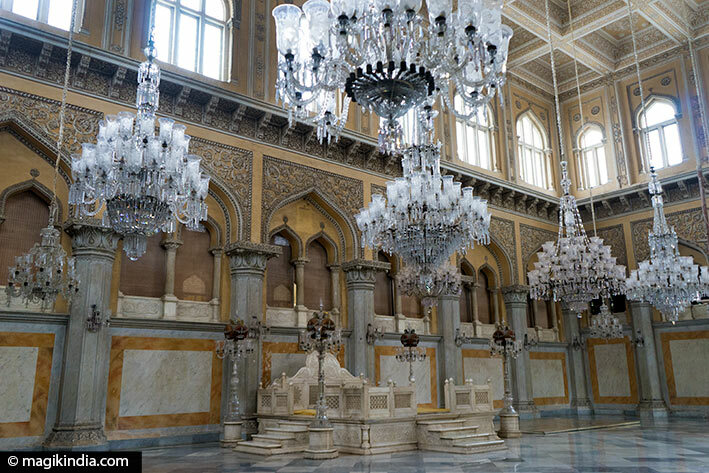 The Khilwat Mubarak or Durbar hall, the hall of ceremonies, is the heart of the Chowmahalla Palace. It is adorned with 19 huge crystal chandeliers from Belgium and a platform of white marble on which the Takht-e-Nishan or the royal seat is laid. 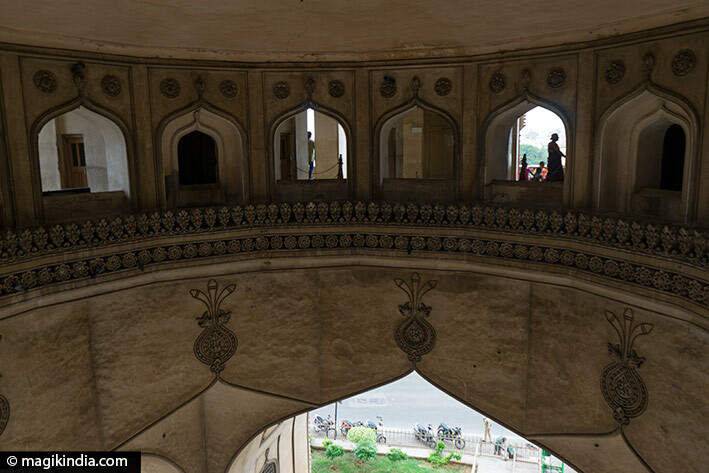 Hidden in a corner near the Charminar this “house of mourning” is worth the detour. 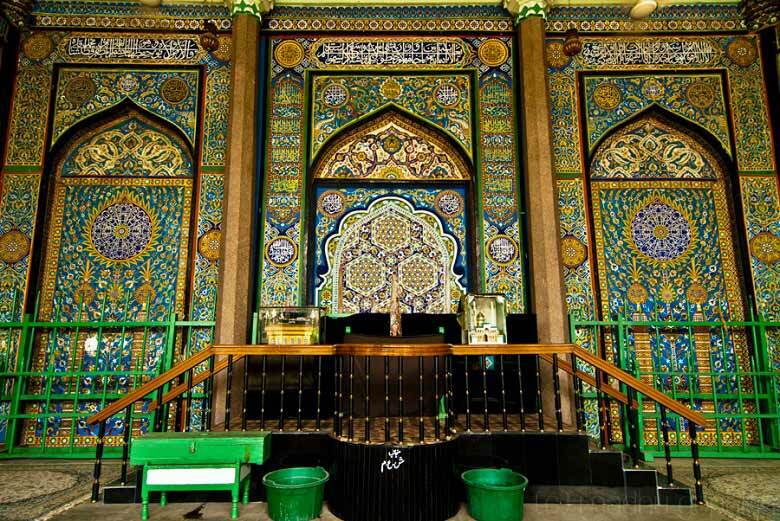 The Badshahi Ashurkhana is a mourning place for the Shia Muslims built in memory of the martyr Imam Hussain. Iman Hussain was the grandson of the Prophet Muhammad and the son of Ali ibn Abi Talib, the first Imam Shiite. The exterior aspect of the building is modest but the mosaics inside are splendid. Golkonda is one of the famous forts of India and was the capital of the rulers Qutb Shahi. The origins of the fort date back to the Yadava dynasty of Deogiri and the Kakatiyas of Warangal. 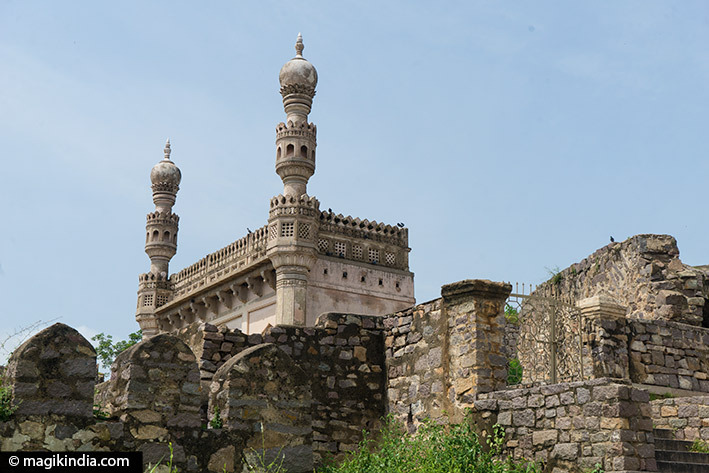 The first three Shahi kings of Qutb rebuilt Golconda over a period of 62 years. 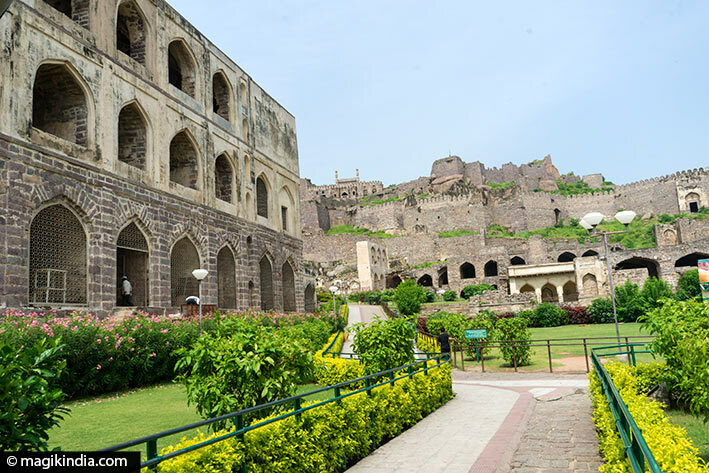 Golkonda consists of four distinct forts surrounded by a 10 km long outer wall. Inside are several apartments and royal halls, temples, mosques, stables, etc. It is said that Golkonda fort possessed a safe where the famous ‘Koh-i-Noor’ and ‘Hope’ diamonds were locked up. The fort remained the capital of the Qutb Shahi dynasty until 1590 when the capital was transferred to Hyderabad. The fort will fall in ruin from 1687 after a long siege of a year leading to the capture of the fort by the Mughal emperor Aurangzeb. About one kilometer from the Golkonda Fort are the seven tombs of the kings of the Qutb Shahi dynasty. 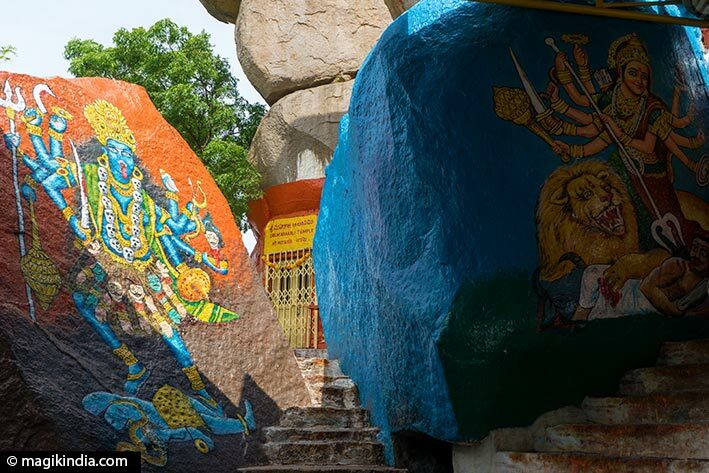 These granite tombs are part of the oldest historical monuments of Hyderabad. Very elegant, they are built in Persian and Hindu architectural styles. 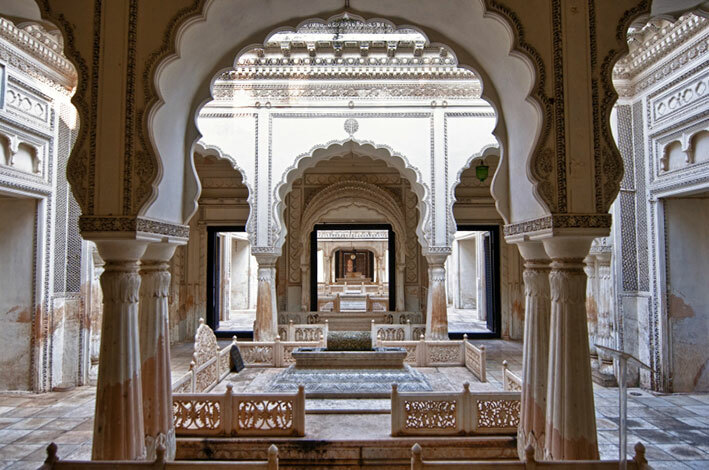 Paigah tombs or Maqhbara Shams al-Umara are the tombs of members of the Paigah family, aristocrats, loyalists of the Nizams. The Paigah had the task of defending and securing the princely state of Hyderabad. The ties between the Nizams and the Paigahs were such that one of the Paigahs, Fakhrudin Khan, married the daughter of the second Nizam of Hyderabad in 1797. The marble tombs are adorned with genealogical trees or decorated with beautiful Persian geometric designs and jalis reflecting the aesthetic and artistic taste of the nobility of the time. Hussain Sagar is a heart-shaped lake built by Ibrahim Quli Qutub Shah in 1563. It is spread over an area of 5.7 square kilometers and is fed by the river Musi. A large monolithic statue of Gautama Buddha, erected in 1992, stands in the middle of the lake. the lake also separates Hyderabad from its twin city Secunderabad. Boats often return from the lumbini garden to the statue. 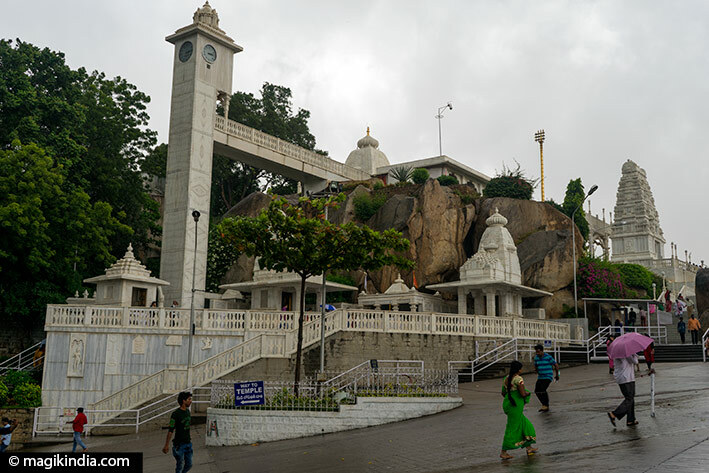 Birla Mandir is a Hindu temple, built on an 85-meter hill called Naubath Pahad. 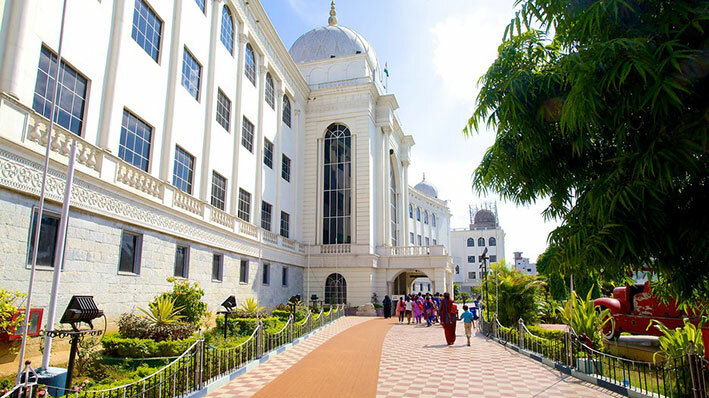 The construction lasted 10 years and was inaugurated in 1976 by Swami Ranganathananda of the Ramakrishna Mission. The temple was built by the foundation of the wealthy industrial Birla family, who also built several similar temples in India, all known as Birla Mandir. The temple, built with 2000 tons of pure white marble is a mixture of dravidian, rajasthani and odishi architecture. The divinity presides over the temple is Lord Venkateswara, a form of the god Vishnu. 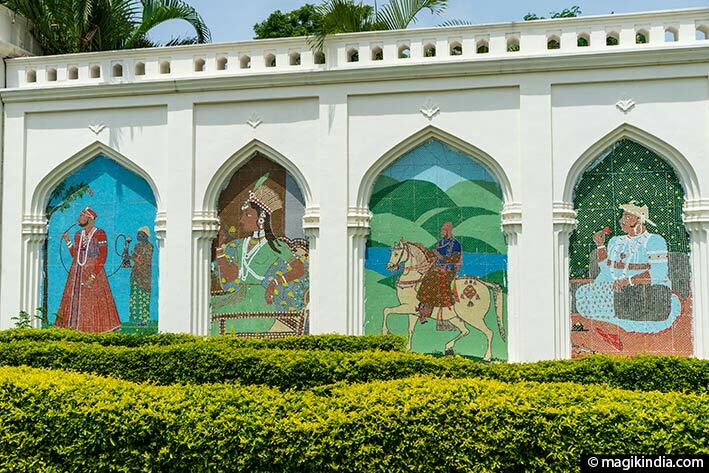 Taramati Baradari is an ancient serai located in the Ibrahim Bagh, a Persian-style garden created during the reign of Ibrahim Quli Qutub Shah, the second sultan of Golkonda. Legend has it that Abdullah Qutb Shah heard the voice of Taramati, a courtesan, singing for the travelers of the serai while sitting at Golkonda fort, two kilometers from the serai. It is said that her melodious voice was carried by the breeze, reaching the prince’s ears. 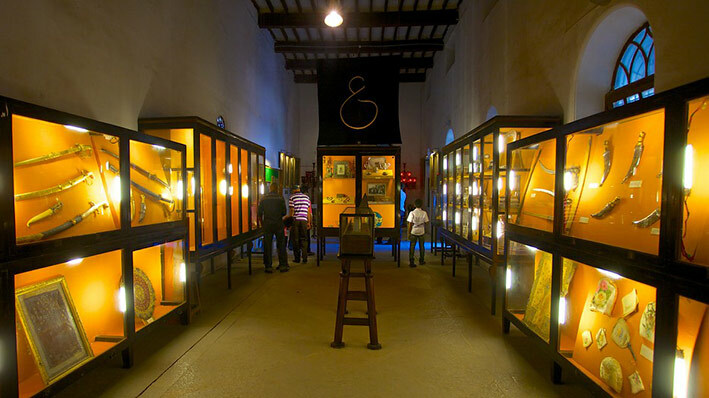 This museum houses a very fine collection of antiques gathered by Mir Yousuf Ali Khan, Salar Jung III. It includes Persian carpets, Moghul miniatures, statues and Chinese porcelain. 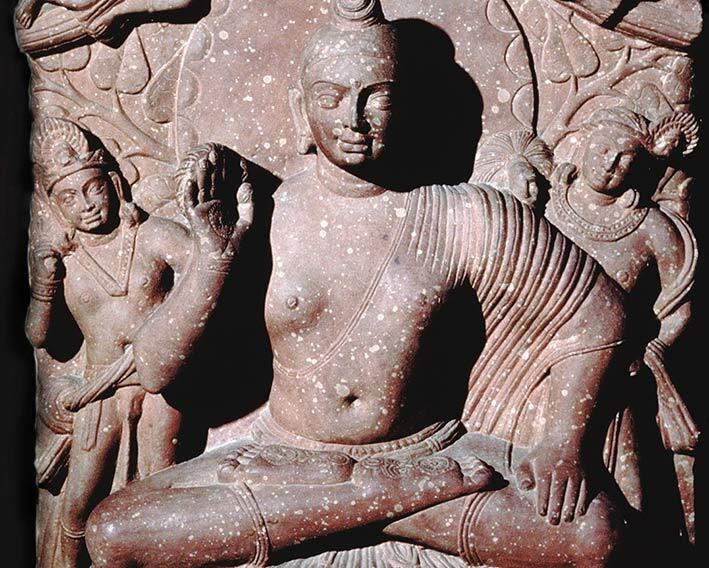 The Hyderabad Archaeological Museum has an exquisite collection of rare art and antiquities like Buddhist sculptures from the second and third centuries BC and Hindu sculptures from the Chalukyan and Vijayanagara period. Surprisingly, there is also an Egyptian mummy, the daughter of the sixth pharaoh of Egypt, which was given by the seventh Nizam of Hyderabad. 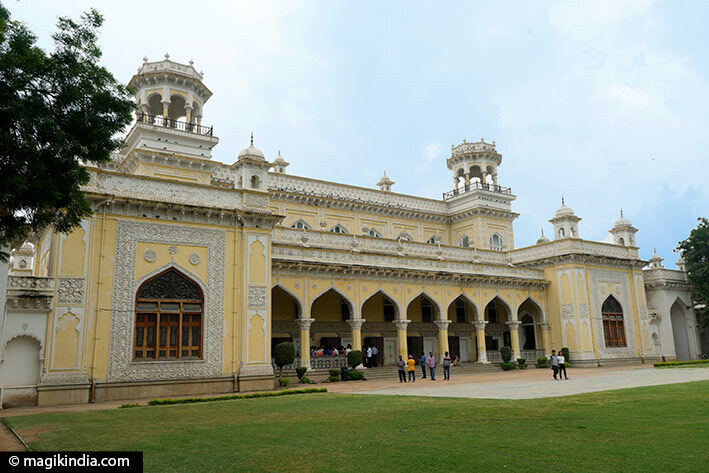 Nizam Museum is a museum located in the ‘Purani Haveli’ (old mansion) dating back to the Nizam period which presents the gifts that the last Nizam of the State of Hyderabad, Osman Ali Khan, Asaf Jah VII received during the celebrations of its Silver Jubilee in 1936. 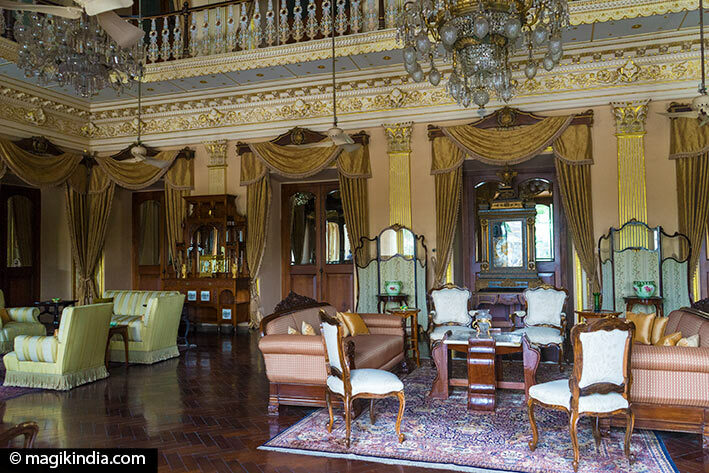 It also houses the costumes of the Nizam who never wore a costume more than once. 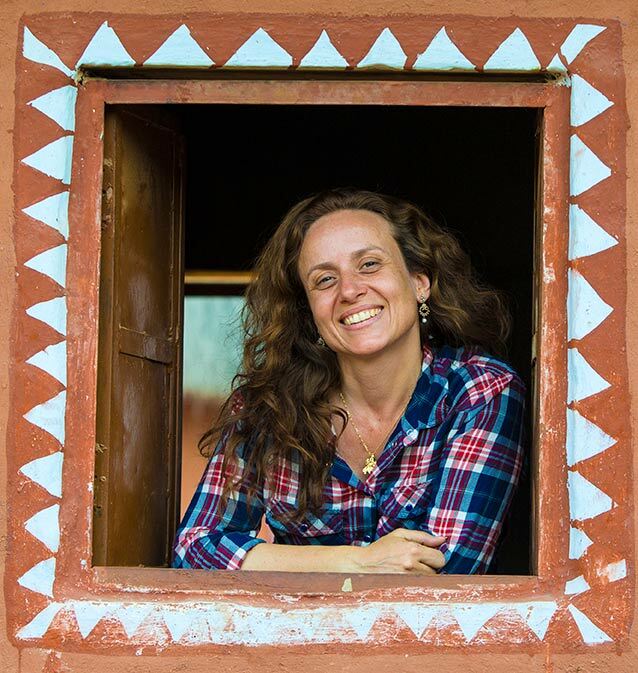 I’m a researcher/writer interested in diamond history. *Documents and ancient books on the above. Any indications would be very helpful and highly appreciated. Dear Dario, thanks for your message. I’m sorry to say I don’t have such documents. wish you a good research. Warm regards.